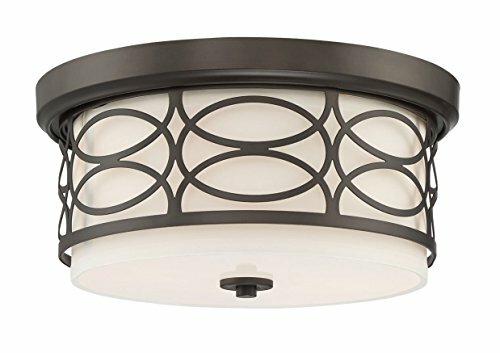 The Sienna 2-Light ceiling light features an elegant Oil-Rubbed bronze finish and modern design which is perfect for a den, foyer, living room, hallway, bedroom, or closet. It is UL approved for your safety, unlike some low-priced competing products. The main design theme of this fixture is the gorgeous intricate metal lattice design, giving the overall light a very luxurious look. The Oil-Rubbed bronze finish is suitable for any modern / contemporary setting.